ECO Racing’s Nissan powered future. After abandoning their highly publicised, not-so successful bio-diesel programme in late 2010, the future looked somewhat bleak for ECO Racing. This week images have emerged of ECO’s recent test outing at the Snetterton circuit, with the team’s Radical SR10 sporting Nissan decals. In an interview with Endurance-info, team manager Ian Dawson pulled the veil from ECO’s latest project, (surprise) a Nissan powered Radical. The 4.0L Nissan engine in use is constructed by Essex-based engineering firm, IES (of Pilbeam-Nissan fame). Dawson went on to reveal the switch to a Nissan engine as part of the team’s new focus on LMP2 competition. The Radical SR10 has been rebuilt to 2011 ACO LMP2 specifications, with the 4.0L production-based, Nissan LTR powerhouse meeting regulation requirements perfectly. Having not yet decided between an ALMS or LMS debut, ECO Racing plans to have the Radical-Nissan turning its first competitive laps by late 2010. 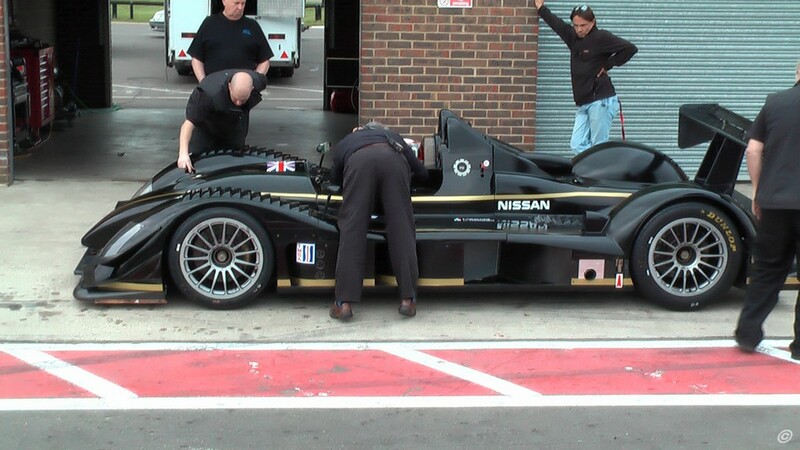 This entry was posted in ALMS, LMS and tagged ALMS, ECO, ECO Racing, Ian Dawson, Nissan, Radical SR10 by SportscarGeek. Bookmark the permalink.